Many are now suggesting that we should rename this period on earth as the Anthropocene. This era could be called the Obscene, not the Anthropocene. I for one, a human, do not wish to be associated with a period in Earth's history where the dominant people in one species, wipe out the foundations of life for all other humans and non-humans. I wish to be part of the 'Symbiocene' where humans live in harmony with all other beings. We can do this via eco- and biomimicry and ecoindustrial economies. Its going to be hard, but it is at least thermodynamically possible. It may even be ethical and beautiful. The Perth newspaper, The West Australian today. Two articles next each other. One on Black Swans falling sick because of the drought and hotter weather and the other about a deadly virus, Murray Valley encephalitis, which is carried by mosquitoes, now found close to Perth (http://au.news.yahoo.com/thewest/a/-/newshome/9453199/mosquito-virus-spreads-across-wa/). 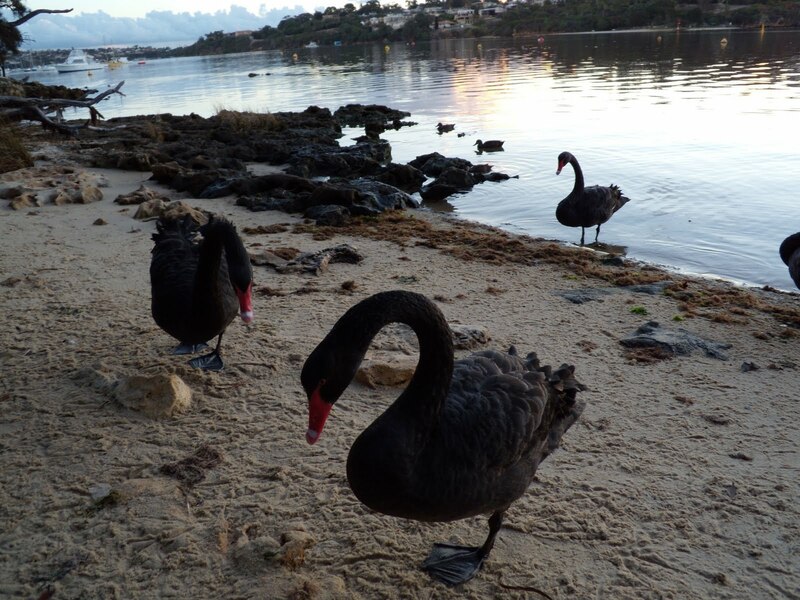 In the Black Swan story, the language is all about a "dry spell" with no mention of climate change or global warming and its impacts on SW WA. The swans are sick from botulism and other water borne diseases. Another possible cause is exhaustion as they come to the coast to escape the drought further inland. The "deadly brain virus" story says that the virus warning now extends to anywhere north and east of Perth". However, there is no mention of the changing climate and how it favours the spread of the mosquito and hence, the virus. Like the dying trees, sick swans are an indicator of ecosystems in distress, while the spread of infectious diseases, particularly by mosquitoes, as climates get warmer has been predicted by the IPCC and other research on global warming. Climate change is not only real, it is here in Perth and is having major impacts right now. Its a pity our one daily newpaper cannot see and make the connections.